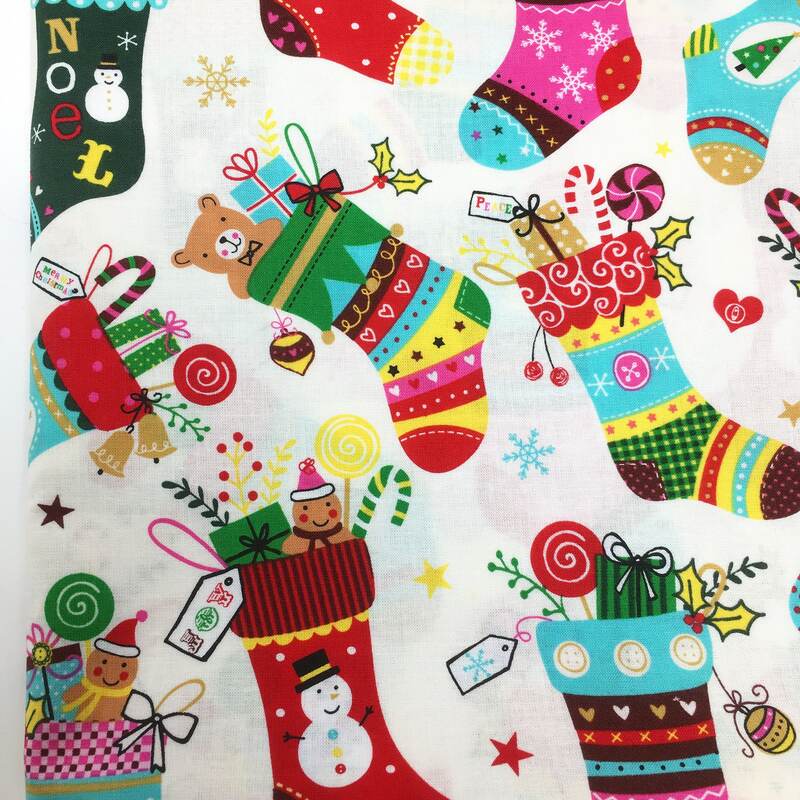 Christmas 100% woven cotton fabric. 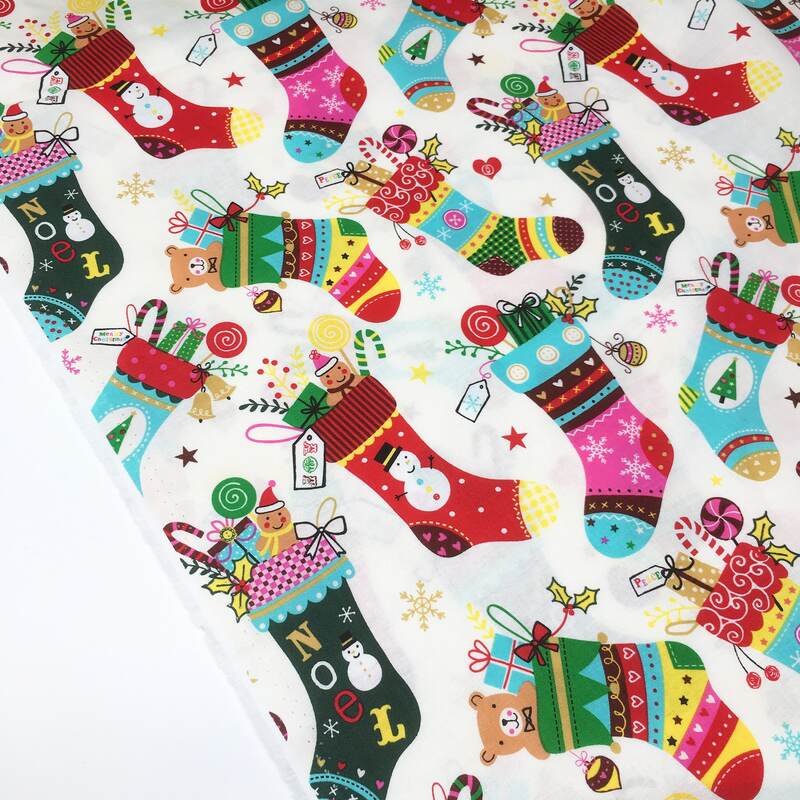 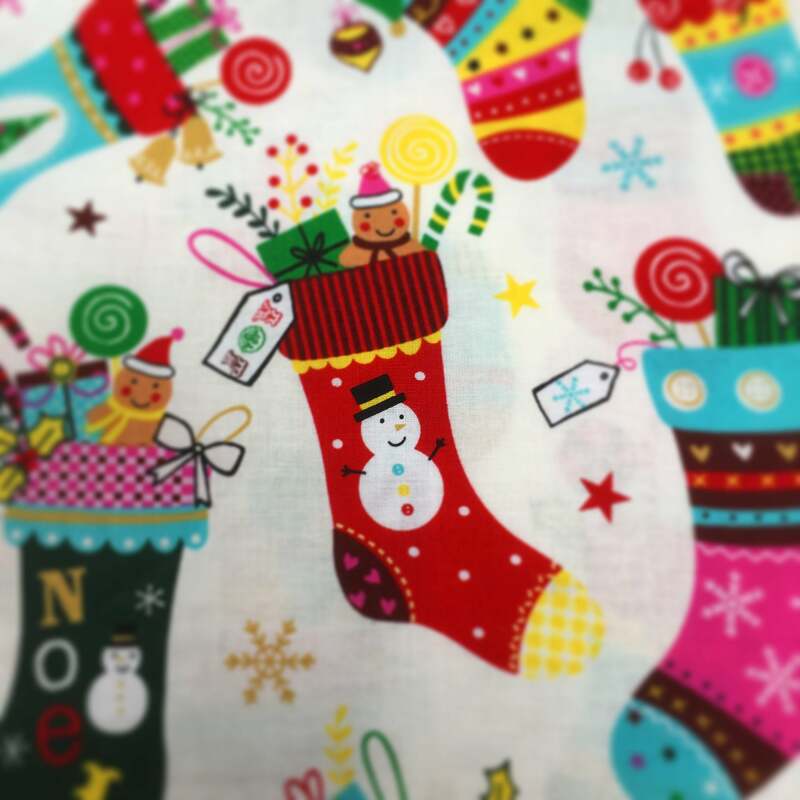 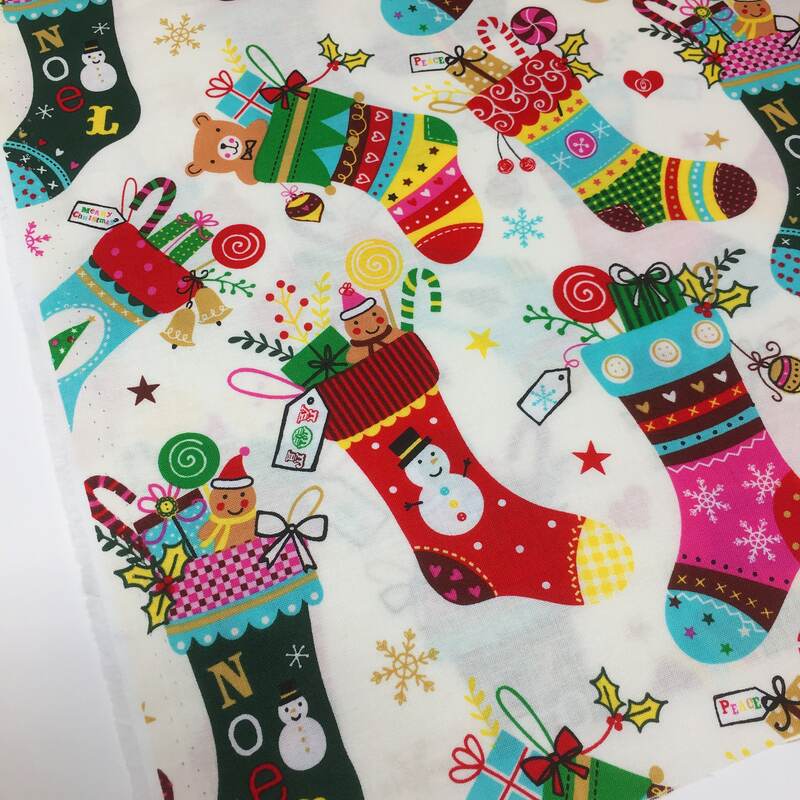 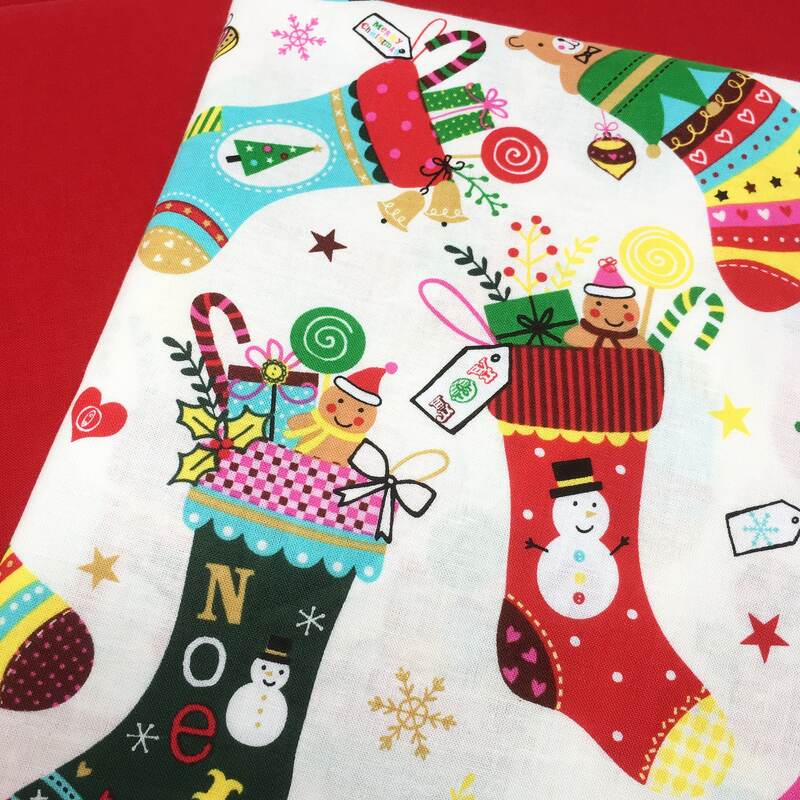 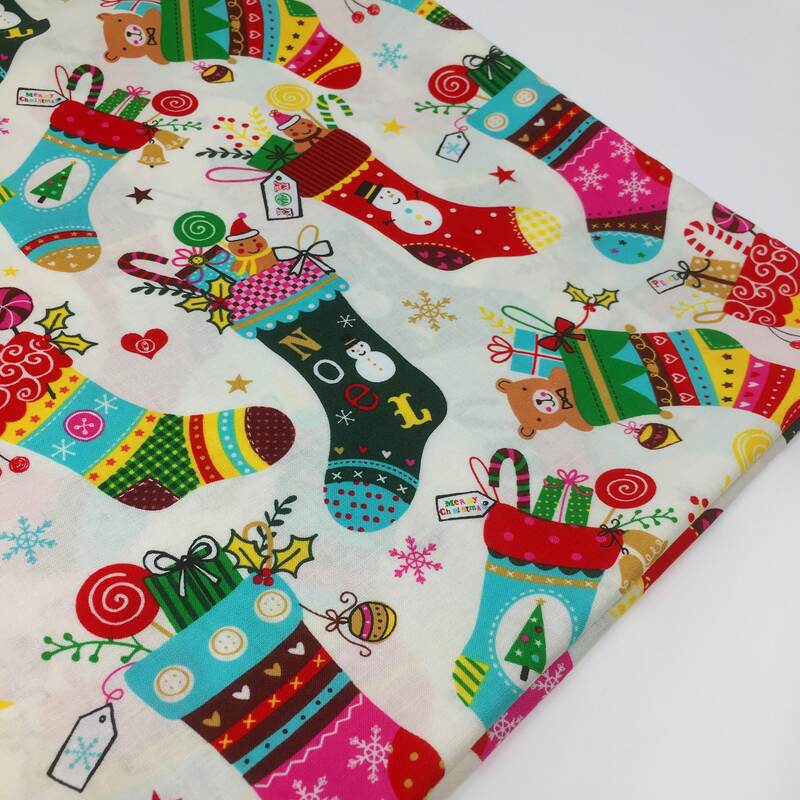 This beautiful print features Christmas stockings filled with candy canes, teddies and much more! 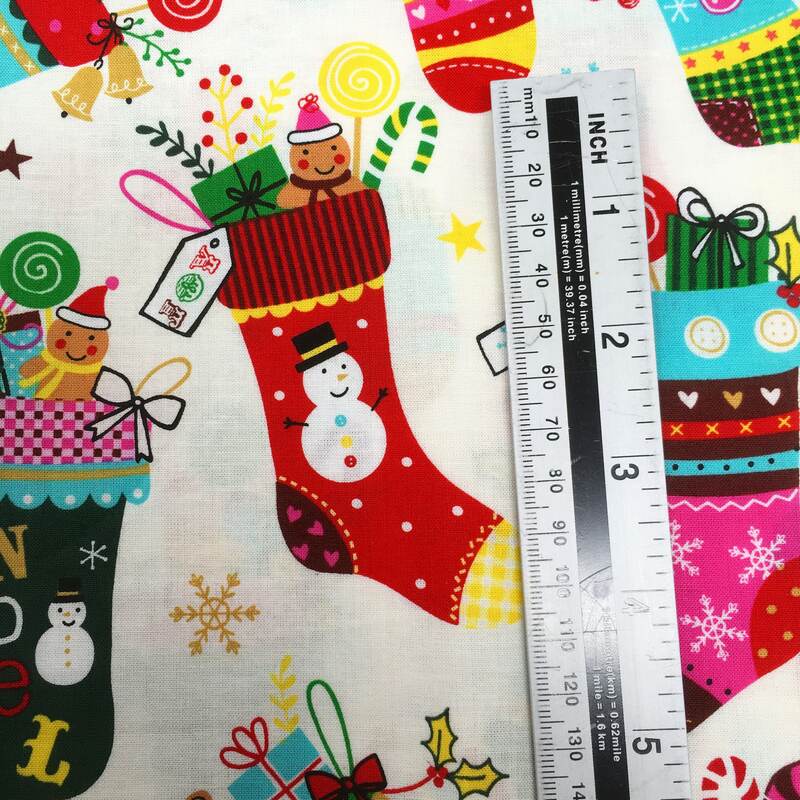 Each stocking is approx 11cm tall.